The term over-tourism came to global attention slightly over two years ago and has since continued to make the headlines. The phenomenon is not new – we have been discussing the negative impacts of mass tourism in recent years but using different terminology. The name over-tourism was coined by the founder of the Skift publication, Rafat Ali, and is self-explanatory as well as alarming in its nature. Hence, from the very beginning, it received significant press attention and is now used by tourism professionals all around the world, looking for ways to solve the problems associated with it. According to the McKinsey report ‘Coping with success: Managing overcrowding in tourism destinations’, there are ten countries that account for almost two-thirds of all arrivals internationally. The European countries on that list are France, Spain and Italy. France is the most visited country in the world. The problem is not the large amount of tourists who are visiting the county, but rather the uneven spread of tourists and their concentration in particular areas, and there is therefore significant urgency to solve this problem. Many articles have been written about over-tourism. I read them with great interest to understand how destinations are coping with the high influx of tourists, what measures are being taken, how it affects the local population and what else can event and tourism professionals do to reduce its negative impact. I agree with the suggestion that more companies within the private sector need to get on board to combat over-tourism, and sell products and services which help spread the tourism flow to less crowded areas and off the high season. Additionally, private travellers need to take more educated decisions and understand the pros and cons of visiting crowded locations. The report went on to list 11 strategies to manage visitor flows in urban destinations. These approaches include focusing on hosting events in less visited parts of the city, promoting events and experiences off peak seasons, promoting new itineraries highlighting hidden attractions, reviewing regulations such as opening times and capacity to improve tourist flow at peak times, analysing current visitor segmentation and placing a focus on attracting low-impact target audiences, engaging local communities in developing local products and creating city experiences that benefit both travellers and locals, improving local infrastructure, engaging with local stakeholders, creating awareness and educating visitors. Such strategies will require monitoring with data. You can find the full list of strategies and further examples here. Over-tourism is widely discussed in the context on leisure travel, but little information is available regarding how this issue will impact the MICE industry in the short and long term. Therefore, I hosted the #eventprofstalk Twitter chat concerning ‘The impacts of over-tourism on the events industry’. Bringing a group to a destination in high season nevertheless may contribute to an overall negative experience, caused by higher prices, less availability for venues and room allotments. In that case, looking for off-the-beaten-path destinations for a group event can offer better value for money, larger room capacity and a more authentic experience. I have been blogging about events and destinations since 2011, and have therefore seen how this sector has developed over recent years. I have developed a strong interest in event sustainability and CSR and always look for ways to highlight those areas, which can be very rewarding and beneficial to all stakeholders. We have had enough of reading about the possible solutions in the media. I prefer a hands-on approach in everything I do and for long time I have been thinking about the HOW. How to organise more sustainable events? How to support local communities? How to integrate sustainability into the event and make it an experience? How to make delegates more aware, so that when they return home from the event they feel better, not because they received a nice goodie bag, but because they had a fulfilling personal experience? At the beginning of the year, I therefore got together with two partners, Italian Special Occasions DMC and video reporter Farhan Hoseynli, and found a solution regarding how to create a visual storytelling of a beautiful and culturally rich destination off the beaten path in Italy, that offers good value for money, and can enhance delegates’ experience. It is different, surprising and real. Let me introduce you to our new project – #SiciltyOffTheBeatenPath. Great minds think alike, and luckily I am not the only person who wants to tell the story of a destination and path less travelled. Together, we created the project #SiciltyOffTheBeatenPath to show that we have the power to change things as individuals, and travel more responsibly. We chose the Messina territory in Sicily, Italy, often overlooked and misrepresented when it comes to making travel choices. In fact, the area is most famous for the movie The Godfather, with the areas of Taormina, Palermo and Siracusa being the main tourist hotspots, miss-representing all of what it has to offer. Italian Special Occasions DMC was founded by Laura Notarbartolo with a vision to transform the way people travel to Italy and organise events. Rather than focussing on mainstream destinations, Laura and her team offer alternatives that are great value for money, that involve local culture and traditions and support local communities. These destinations are typically off the beaten track and off season. Laura suggested Sicily for this project because it is a great alternative to Venice or Rome in high season, and the cities which receive negative press attention in the context of over-tourism. Laura organised a 14-day itinerary this May 2018 for Farhan and his wife Aysel, who spent the entire time interviewing locals and expats about their day-to-day lives, crafts and the territory. They flew to Catania–Fontanarossa Airport from Frankfurt and from there drove to Milazzo, approximately 1.5 hours by car. The documentary focused on the Province of Messina, and they visited many of the local towns, including Savoca, Toarmina, Castroreale and Etna. For example, they interviewed a local professor who gave an introduction to Milazzo to understand its history and the old local trade of fishing. They had a wine tasting at a local family-run vineyard. They learned how to cook fish the traditional way. They met local ladies who use ancient embroidery techniques. They visited a local farm, one of the few that still has an orange tree, and more. Every day involved a new experience and meeting the people who make this territory so unique. Milazzo is also a great area for group events. It is strategically located, so from there delegates can travel to Etna, explore the nature and culture of Tusa or Parco dei Nebrodi, just to list a few examples. One of the most beautiful activities is to go to the Aeolian Islands that provide a view over the three volcanos: Strombodi, Etna and Vulcano. There are also hotels equipped to welcome large and small groups. For example, the Eolian Milazzo Hotel is suitable for up to 50 people and small meetings, and the Il Picciolo Etna Golf Resort & Spa is appropriate for up to 200 people. It is located in the middle of a park with a golf course and is a good base to explore the area. It is particularly convenient for visiting the many wineries and tasting the wine specific to the Etna region. When coming with a group, the most suitable time to visit is autumn or winter. In her event briefs and travel itineraries, Laura incorporates local experiences, but that does not come at the expense of making the artisans the tourist attraction. 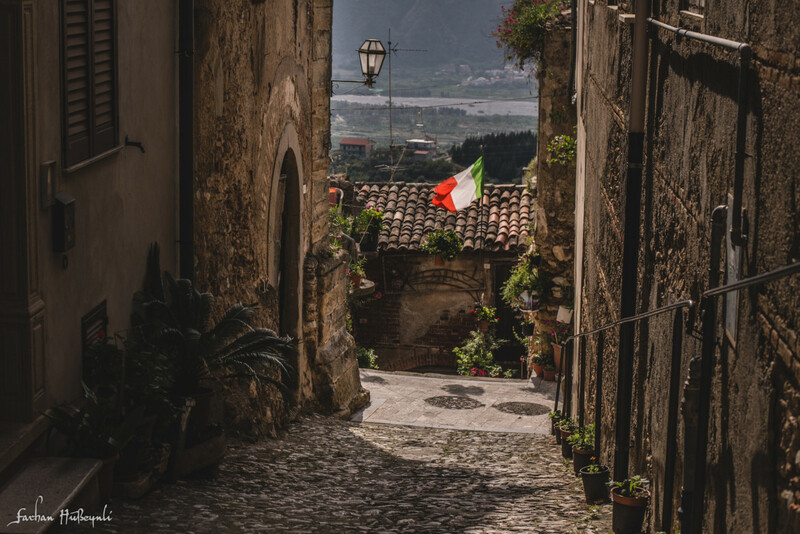 Instead, the focus is on learning the value of manual work, the story behind the authentic ‘Made in Italy’ and the people that have preserved the traditions for centuries. Activities will not be offered through an online booking engine, but instead exclusively through direct contact according to the artisan’s availability and the destination’s seasonality. While the documentary is being made, we have created a dedicated Instagram account @SicilyOffTheBeatenpath, where you can see all the behind the scenes from this trip, meet some of the people and the places that will be later featured in the final video, with the stories of locals, tourist and expats. It is a great honour to be able be involved in this project and provide support with digital activities and media outreach. Additionally, you can already watch the first short movie produced that will give you an introduction to the project and the beauty that is Sicily off the Beaten Path.